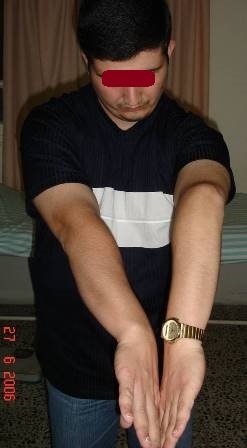 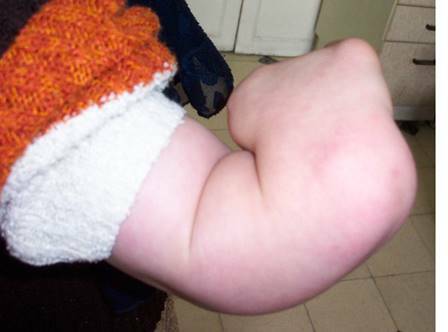 Varus and internal rotation deformity of elbow after fracture at Childhood in a adult 25 yrs old . 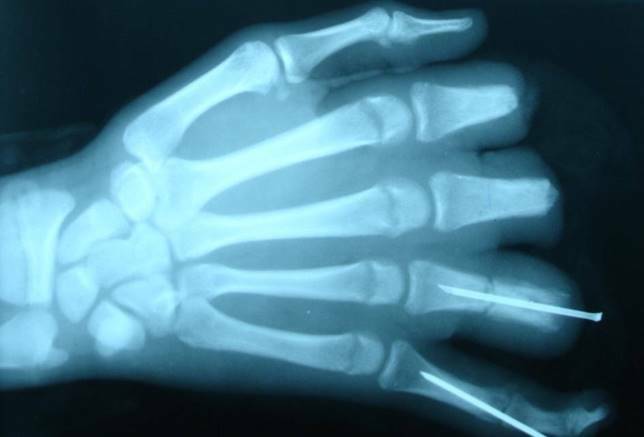 Another case a girl 21 yrs old with congenital club hand / Absence of Radial Bone / Severe deformity of hand with inverted dislocation Hand. 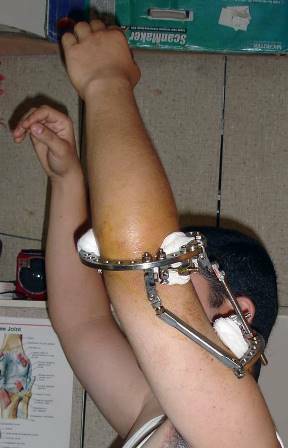 Application of Salamehfix1 External fixation device on the hand and in two steps first reduction of hand and stabilization of it on Ulnar bone , then second step lengthening ulnar bone up to 8 cm , we can see X-rays and photos. 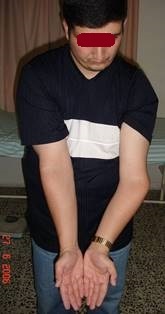 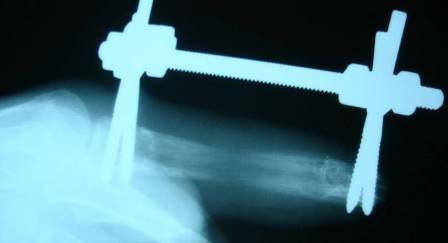 Correction of angular deformity of elbow joint is easy possible using a small modified external fixation Salamehfix , we can see the deformity before treament and after corrective osteotomy and aplication the fixator . 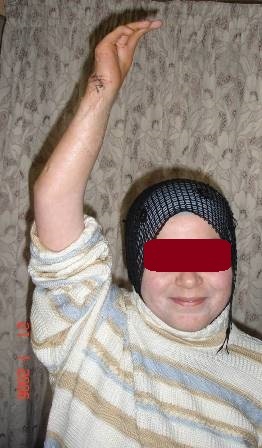 For Finger lengthening I invented a Special small identical modified external fixation device Salamehfix 5 which had an international Patent . 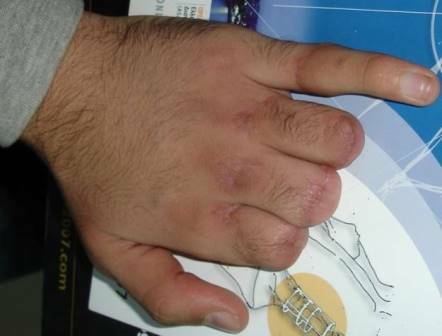 This is a young man 23 yrs old after accident amputation of fingers , just short stump of fingers stay in . 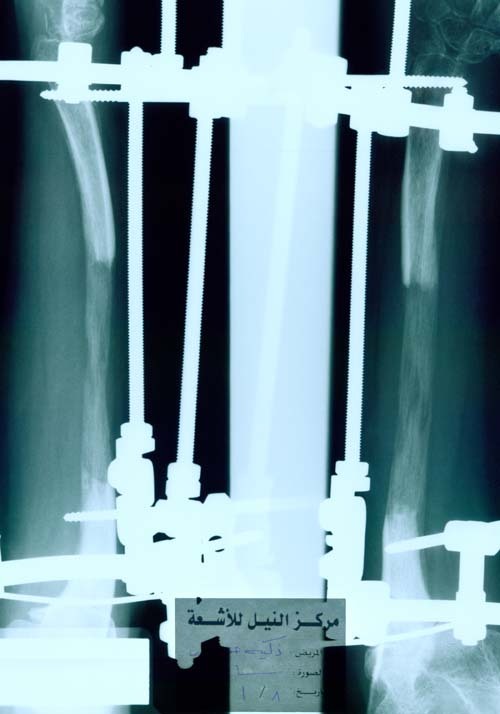 Application of external fixation device Salamehfix5 and lengthening the stump of finger up to 3.5 cm, we can see on the X-ray regenerated bone and aliment of finger . 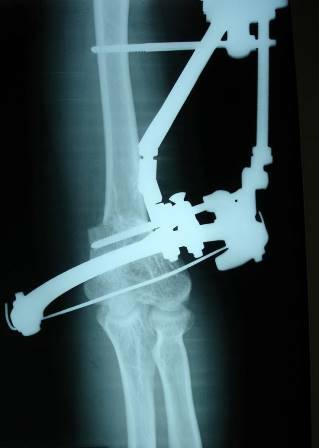 We can see how much is small fixator looking to its functional achievement and stability of fixation .